For military personnel whose professional achievements and/or leadership on or after April 1, 1967, are of a clearly superlative nature. 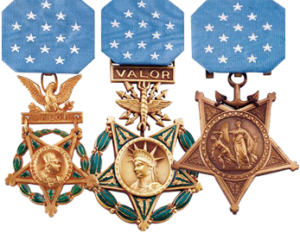 Originally the Secretary of the Treasury Commendation for Achievement, when the award was designated the Coast Guard Achievement Medal in 1968, it joined the achievement medals of the other branches of service holding precedence just below the Joint Service Achievement Medal (1983). 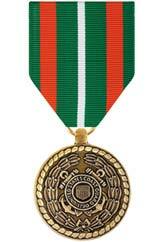 It is awarded to members of the Coast Guard, including Reserves, as well as to members of other branches serving with Coast Guard Units, for heroism, professional achievement, leadership or superior operational performance.